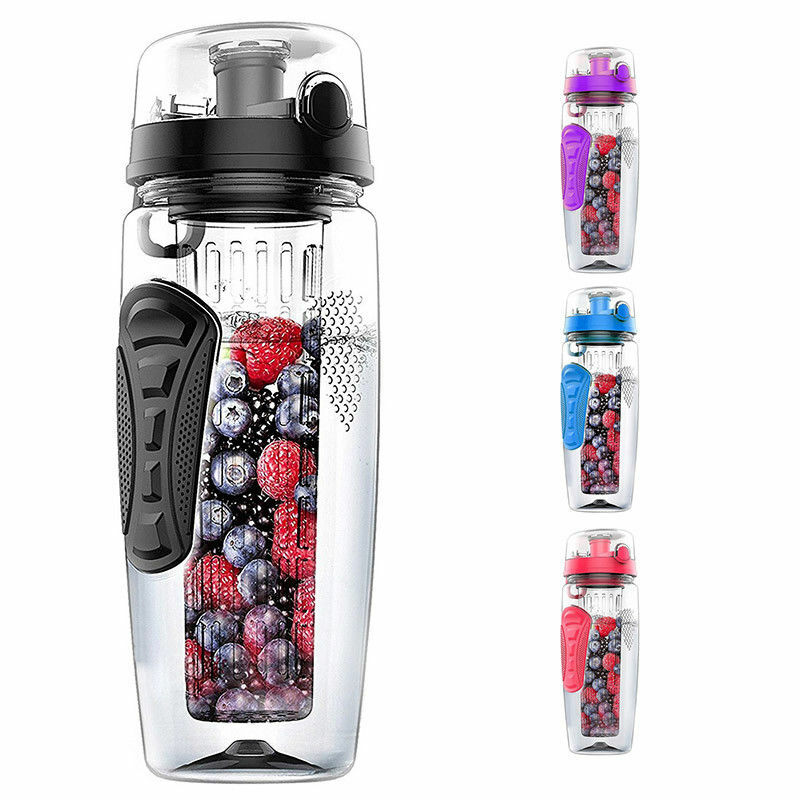 Description： Drink your water infused with your favorite fruit on this Fruit Infusion Water Bottle. 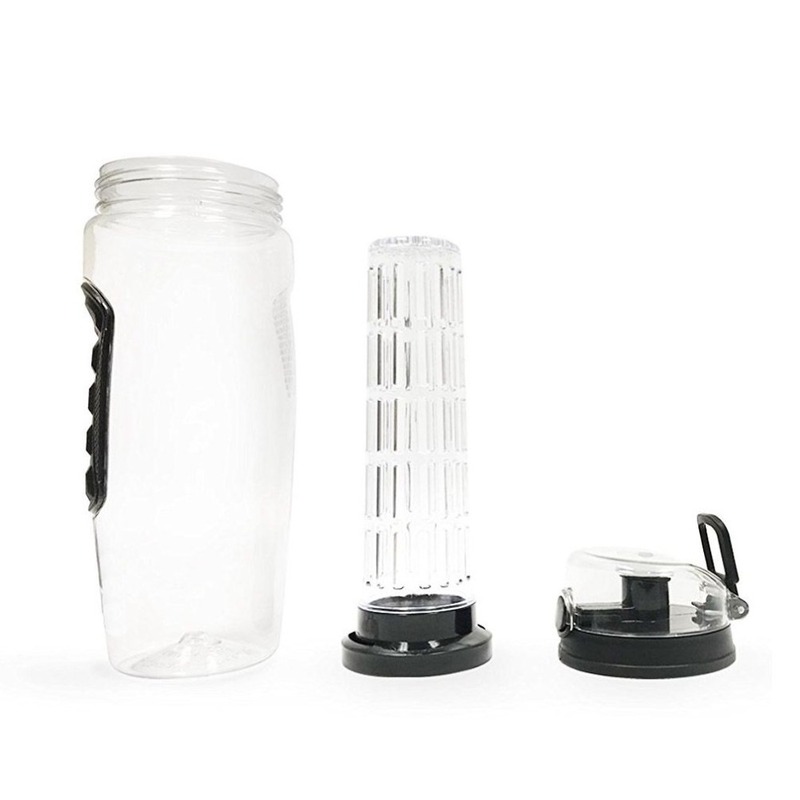 It comes in several colors and is pretty convenient for everyday use. 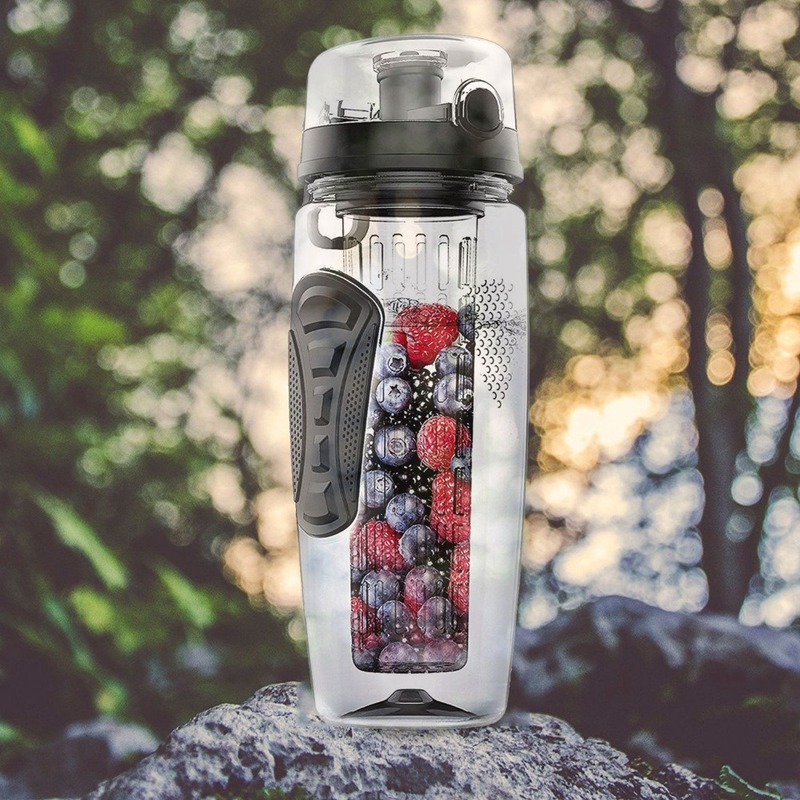 You are going to love carrying this bottle around every day. 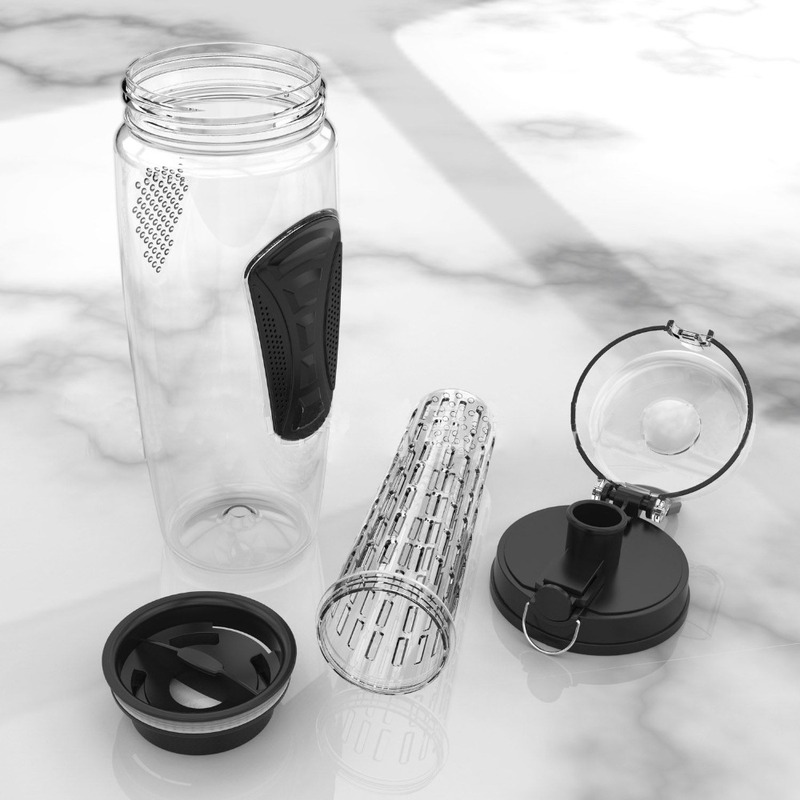 The design is simple, elegant and effortless for regular use. 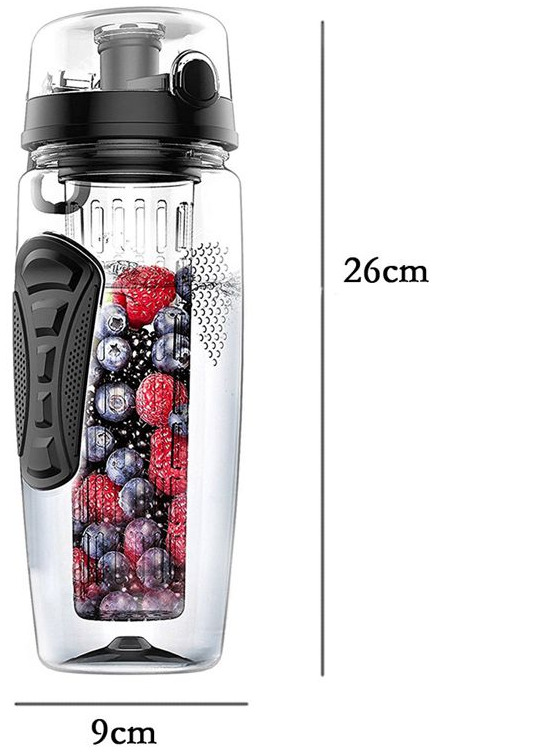 It has a small section at the bottom for fruit infusion. 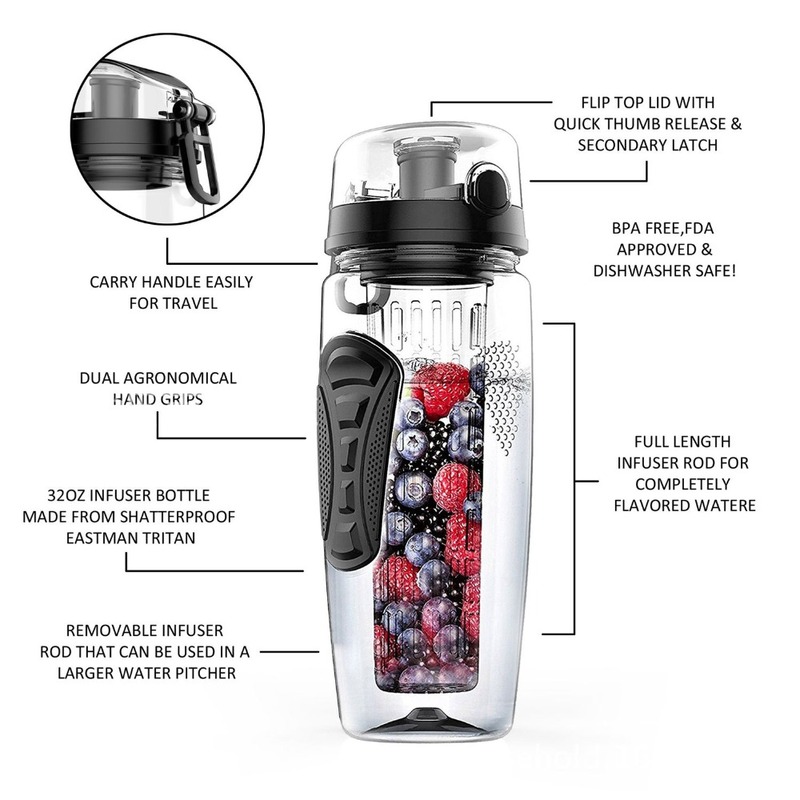 This enables in flavoring your water with the fruit you wish to flavor it with. 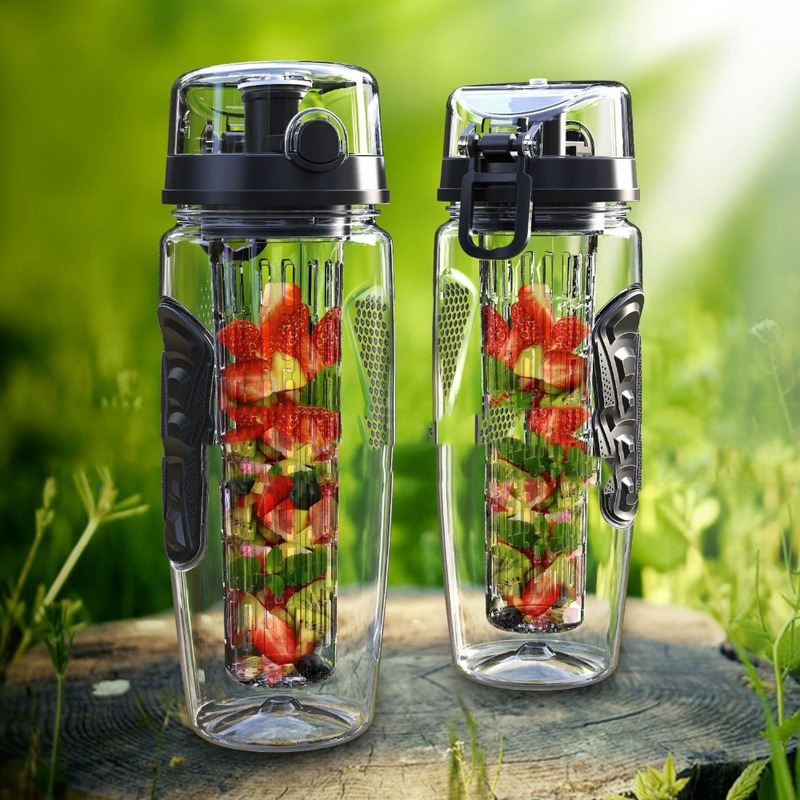 The entire process of fruit infusion just got more convenient for using on the go with this bottle. 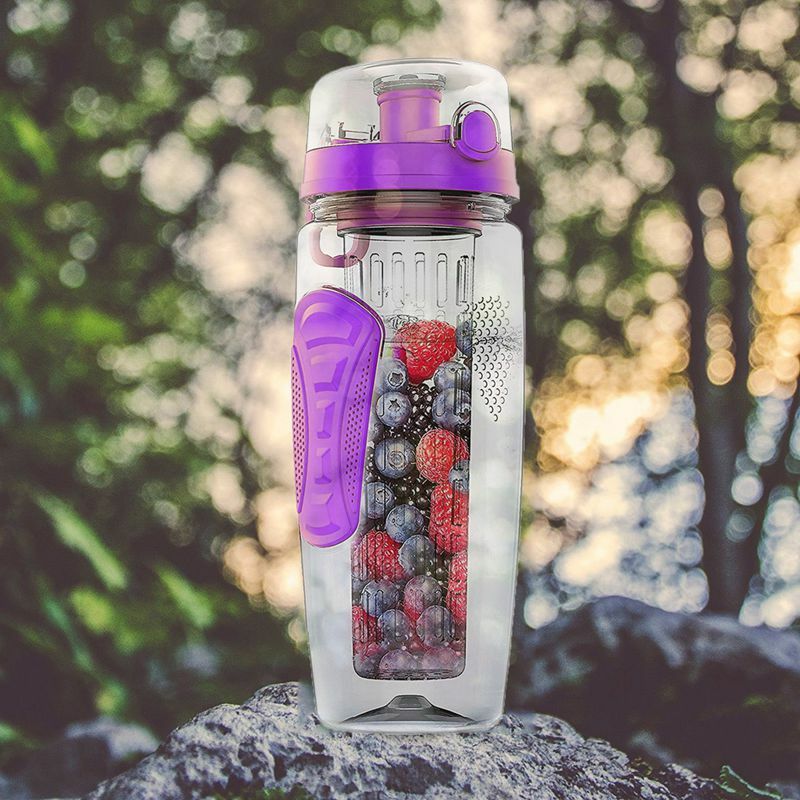 Grab yours in the color of your choice and take your fruit infusion tactic to whole new levels altogether. 1.Digest & rest better and perfectly Weight loss & hunger control. 2.Helps joint lubrication and detoxify the body & reduce your sugar intake. 3.Give you great source of vitamins & minerals. 4.Helps reduce wrinkles & improve overall skin tone & elasticity. 5.Stimulates better brain function - concentration & alertness.